Our Shoe Box Appeal was a HUGE success. We managed to fill 31 completed boxes with little extras inside! We would like to thank all our tenants for their extremely helpful donations! We are now helping with the Rucksack appeal (We had lots of left overs) The Rucksack appeal is a great local cause that helps the homeless each year, 365 days no matter what! We did it! 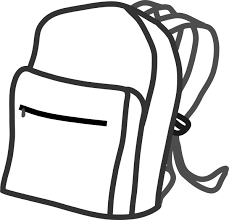 with all your help we managed to fully fill 16 Rucksacks for Wellsprings in Stockport. All Donations were great appreciated. Wilson, Martin Barry, Gaynor (DSC) for her rather large supply of toothpaste and torches. Rachel Heatons Footcare for her completed 2 boxes. Lee for his supply of vending machine chocolate, Bmso for the christmas cards, Gary from Tuf Tools for his completed box. Geoff capes driving School for his donations. Usman from Clear Environmental. Steph, Simon, Owen and Debbie from computeam ,Matthew for his generous donation paying the £1 per shoebox for distribution costs. Murphy Cassidy, Stu and jack for their donations. AAI for completing 2 shoeboxes. Diane and Gemma from herz , Mike Healey for his supply of hats and gloves. Tiger for her donation of 2 completed boxes. Jilly from Stockport Bic for our scarfs. Adam from Synigise Digital. Chris at Bariquins for his shoebox. Cheshire Quality care Cqc and another lady from the 3rd floor (We didn’t catch your name!) The Bmso Staff, Karen, Linda, Hazel, Justine and Pauline for their 7 shoeboxes, SMS for a large collection of clothing, Alec for the sleeping bags and flasks, Rose from Chilli, the girls from Quba. Iman for his donation. Sharon from simon antony , Mita Patel Makeup Artist for her sweets, Dave Robinson D R Autobodies for his large donation of sleeping bags and finally Debbie, Shaunna and Elaine from Broadstone Mill. 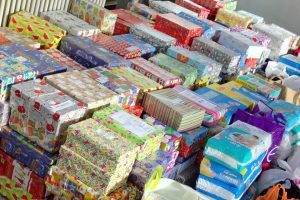 Every year we do something to help the less fortunate at Christmas, after last years success this year we are taking part in the Manchester Christmas Shoebox Appeal, something slightly different. 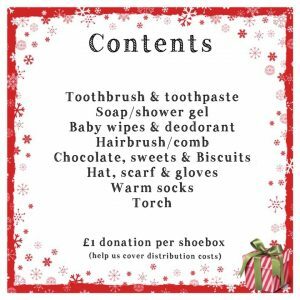 Toothbrush & Toothpaste, Soap or Shower Gel, Baby wipes and Deodorant, Hairbrush or Comb, Chocolate, Sweets & Biscuits, Hat, Scaf & Gloves, Warm socks, a torch and a £1 per shoebox to help with distribution costs. If you would like to donate any of the above it would be a great help, lets help spread some joy this Christmas! 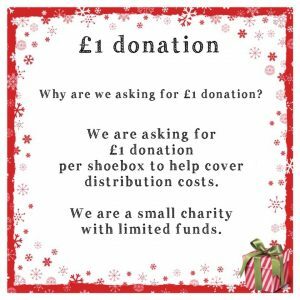 All donations are to be brought to the 4th floor reception by the 17th November 2017 individual items or ready filled shoeboxes, your choice! “Bariquins was established to produce a quality mannequin that not only looked good by using high class, strong materials and manufacturing methods but is also realistically looking. ‘Barry’ (as our original version is called) is made up of 15 weighted parts, a jacket plus the realistic looking head, hands and feet. The heaviest component is designed to be 16kgs (that’s much less than the weight of a flight suitcase). Carrying handles are provided on all the heaviest body parts. Simple connectors are used allowing the Bariquin to be assembled in less than 10 minutes. A system of decals placed on the parts easily identifies where each section fits to assist assembly. A Bariquin overcomes the drawbacks associated with traditional plus-sized mannequins. He doesn’t require a team of trained people to move him to and from the training area. Nor does he need filling with water or emptying afterwards (usually in situ). Unlike using a volunteer, Barry won’t get tired or embarrassed during training and there is no danger of hurting him in a training accident. Barry can also be placed into hazardous environments and in a variety of ‘uncomfortable positions’ to mimic different training scenarios, and because he is modular, Barry can also be used to simulate patients with missing limbs. Barry’s limbs have been designed to replicate those of a real person, with comparable weight distribution giving a more accurate training experience. Barry is designed to withstand demanding environments, as he’s made of impact resistant material which is easy to clean with soap and water. In June 2015, Bariquins won the ‘Spark Stockport Best Business Growth Idea’ Competition which included a prize of 15,000 worth of business support. Part of the prize included 12 months free office space in Broadstone Mill. Bariquins continues to be based at the mill. When you learn to drive with Geoff Capes, you receive an unrivalled package of unique services including: Free theory test training Money back guarantee Test pass promise Driving lessons warranty Are you ready to take the first steps to independence with a driving school you can trust? Pick up the phone and call 0161 327 2105 and take that step to getting your freedom and independence.